CodeBroker clients are finding that digital coupons delivered via SMS drives more sales, increases loyalty and improves the customer experience. Unlike print coupons, SMS coupons are always accessible when the customer needs them, since nearly everyone takes their mobile phone with them when they shop. And consumer acceptance of mobile coupons is expected to continue to rise. A 2018 report from research firm PRRI indicates the use of mobile coupons will surpass print coupons within the next year, while a study by Juniper Research predicts the value of digital coupon redemptions will surge to $91 billion by 2022, up from $47 billion in 2017. We’ll be publishing CodeBroker’s mobile coupon research in the coming weeks so be sure to check back as it includes some compelling insights into mobile coupon usage. CodeBroker has found that coupons delivered, for example, via email accessed through a mobile device were typically redeemed within a range of 0.5-2 percent. But by delivering SMS text coupons, CodeBroker found that retailers could increase digital coupon redemption rates to as much as 8 percent or more. #1. Make it easy and quick for consumers to sign up – Don’t ask customers to enter too much info. Customize your sign-up form to capture only the minimum relevant information. #2. Provide an incentive – Coupons are proven incentives to drive list sign-ups. Our research indicates that 68 percent of respondents would join a brand’s marketing list if they receive an instant coupon. #3. Create an SMS content plan – Create an SMS content plan and implement it consistently. Before long, customers will look forward to receiving regular content. #4. Generate exclusive content – People want to feel special and you can do that by providing information and rewards that are exclusively available to SMS list subscribers. #5. Optimize the customer experience – Personalize the SMS experience to strengthen the relationship you have with the customer. For example, let a customer know that an item on her wish list is on sale. #1. Make use of higher value single-use coupons – Customers have demonstrated that they prefer higher-value mobile coupons that they can use only once over lower-value mobile coupons that they can use multiple times. #2. Employ a single-use security model – To guarantee that coupons can be redeemed only once, regardless of the number of channels by which a consumer receives that coupon. #3. Use on-demand coupons – While redemption rates for mobile coupons are high compared with those for print coupons, redemption rates for on-demand coupons (which consumers specifically request in response to ads) are even higher. #4. Employ brief promotions – Create mobile coupon marketing promotions with a short redemption period, preferably ten days or fewer to drive customer urgency. #5. Send a reminder message – For longer promotions (2-3 weeks) send reminder messages to people who have not yet redeemed a coupon. Inform the consumer they have only a few days left to take advantage of the offer. Reminders have proven to increase coupon redemption rates by as much as 70 percent. 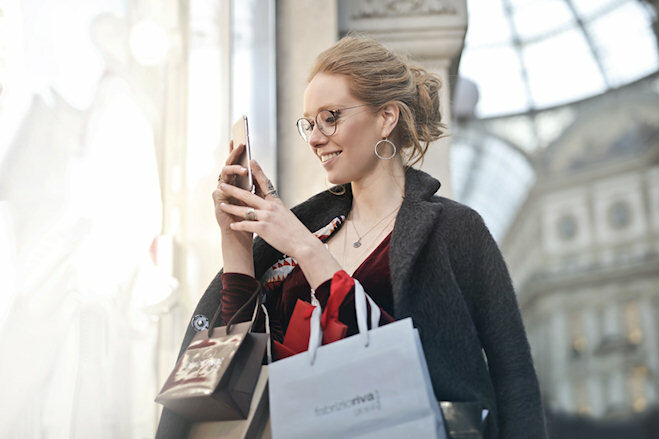 With more than three-quarters of Americans now owning a smartphone, and nearly half of consumers now preferring mobile coupons, retail and brand marketers should be looking at delivering mobile coupons via SMS, not only to drive purchases but to improve the customer experience as well.